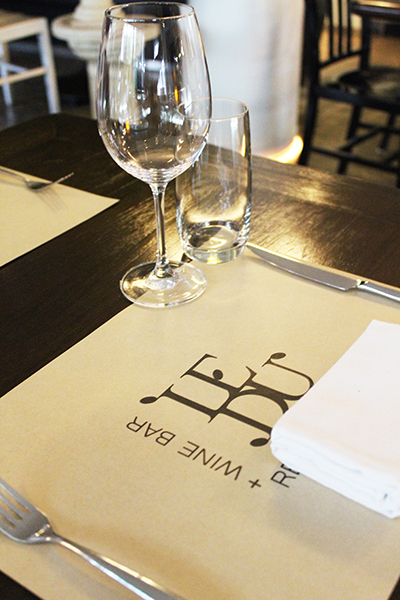 Le Du Restaurant + Wine Bar keeps changing … every season. 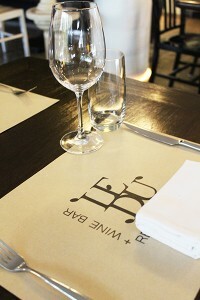 Le Du Restaurant + Wine Bar (399/3 Silom Soi 7, Bangrak, Bangkok (Chong Nonsi BTS exit 4), 09 291 999 69, www.ledubkk.com) opened its doors in November 2013, and the venue could not have picked a better name to represent the magic its four chefs work in the kitchen, as Le Du means “season” in Thai. Going to Le Du is a new experience anytime of the year. As you pass by the glass wall between the kitchen and the dining area, showing both honesty in their cooking and style in the plating of the dishes, you’ll always be welcomed with a new menu that changes according to seasonal produce. Le Du is a dual concept restaurant that serves up European bistro-style menus for lunch and modern Thai-inspired dinners in the evening. The best way to enjoy and discover Le Du’s seasonal food statements is by choosing the four-course menu (one starter, one dish “from the forest and sea,” one “from the ranch,” and one dessert for THB 990) or a seven-course menu (one amuse bouche, two starters, three main courses, and one dessert, at THB 1,590), being both a true gastronomic experience, that is also possible to indulge in with wine pairings (THB 990 and THB 1590, additionally, in each case), selected by their certified sommelier. The pairings feature wines from around the world. Those of you with a smaller appetite can also pick any a la carte dish on the menu. There are a range of prices: from THB 250 marinated oysters, corn mousse, pickled grill corn, and tapioca pudding, to THB 1,200 Australian Wagyu beef, scallion crêpe, hoisin, and petite cabbage. One thing that is really interesting about this restaurant is that all its products are sourced locally, while the techniques applied to the preparations come mainly from abroad. Take the ant larvae, dried local tuna, herbs, caramel, cream of toasted coconut, and leaves dish. Yes, you read it right. Quite a surprising starter that is both loyal to Thais’ relish for eating certain insects and equally satisfying for a more traditional palate. The fried ant larvae are light and crispy, while the dried tuna has a rich, strong taste while still being moist. And the balance between the sweetness of the caramel and the velvety texture of the coconut cream is really well thought out—we could have eaten plate after plate of it, to be honest. It might be challenging to make your mind up when it comes to the main course, If you choose to pick something “from the forest,” you may want to go for the local porcini, pickled oyster mushroom, gourd, chicken skin, and chlorophyll. If you are more into meat, you may select something “from the ranch,” such as the chicken cooked sous vide, which keeps it perfectly moist and juicy. The cherry on the cake is a piece of artwork on its own: dessert. Could you ever think that pork blood could taste like salted caramel? Well, it does on the pork blood pudding, almond sablé, black tapioca pearl, and caramel gel dish. It might seem risky to present a dessert that contains mainly pork blood, but “chapeau bas,” as we say in French (hats off). Not only does it work … it’s delicious! Open Monday to Friday from 11:30 a.m. to 2:30 p.m., and from 6 p.m. to 11 p.m.; Saturday from 6 p.m. to 11 p.m. Closed on Sunday.